For more than 40 years, our Intellectual Property Litigation practice has delivered exceptional results for plaintiffs and defendants in complex intellectual property disputes. Our experience includes patents, trademarks, copyrights, trade secrets, unfair competition and antitrust issues. We are also brought in to resolve significant commercial disputes involving technology. Our team helps industry leaders, startups, leading academic institutions and multinational biotechnology and pharmaceutical companies solve their most challenging problems. Many of our clients are pushing the frontiers of technology, and we partner with them at the frontiers of the law to help them achieve their most important business goals. As lead counsel, we have litigated patents from nearly every technology discipline, including software, semiconductors, computer peripherals, visual effects, biotechnology, pharmaceuticals, medical products, telecommunications, industrial machinery, video games and e-commerce. Our victories range from jury verdicts in the hundreds of millions of dollars—including the largest damage award ever affirmed in a published decision by a California appellate court to more than $1.7 billion paid to DVR market leader TiVo in patent infringement litigation. The breadth of our work is international in scope, and we have substantial experience coordinating global litigation strategies for clients spanning the U.S., Europe and Asia. Our team brings extraordinary qualifications and a high level of creativity to every matter. Many of our litigators have advanced technical degrees and professional experience in private industry, and all of them boast extraordinary academic records. We work collectively to solve the kinds of problems other firms can’t solve, and we draw upon the minds of our entire group—including associates and partners—to come up with the most novel and successful approaches to legal strategy. We are often brought in to take over and turn around “unwinnable” cases after serious losses by other firms. Our practice includes more than 20 registered patent attorneys who practice before the Patent Trial and Appeal Board (PTAB), representing clients in all manner of post-issuance proceedings, including inter partes review (IPR), covered business method, post-grant review and ex parte reexamination. 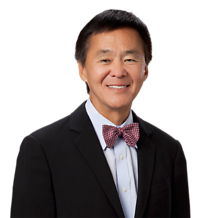 The group includes a former chief administrative patent judge of the PTAB who was instrumental in drafting the post-grant provisions of the America Invents Act. Frequently, our group handles patent cases before the PTAB along with co-pending infringement litigation in federal district courts. Our tight-knit team coordinates closely, thinking one step ahead on issues such as claim construction to provide a unified legal strategy for both paths of litigation. In addition to patent litigation, we regularly represent clients in high-profile copyright and trademark litigation in state and federal courts and before administrative agencies. We represent clients before the USPTO Trademark Trial and Appeal Board and the Court of Appeals to bring and defend oppositions and petitions to cancel. We represent both plaintiffs and defendants in copyright and trademark litigation, seeking and defending temporary restraining orders, preliminary injunctions and trials on the merits. Irell is home to the Technical Analysis Laboratory, a unique facility housed in our Los Angeles office. The lab allows us to quickly and inexpensively conduct product teardowns, scientific analysis, and massive simulations, entirely in-house. In our intellectual property practice, the lab helps our lawyers and scientists investigate infringement and validity on real products and conduct quantitative damages experiments all while saving our clients the considerable time and expense required to shop for experts and wait for outside results. The lab is run by science advisor Thomas Barr and IP litigator Amy Proctor. Koninklijke Philips N.V. et al v. ZOLL Medical Corp. Delivered a win to ZOLL when a federal jury rejected Philips’s damages claim for $217 million and ordered the firm's client to pay a net verdict of $7.1 million to Philips for infringing defibrillator technology patents. The jury awarded Philips just 3 percent of the amount it sought in the trial to determine damages. Irell was retained after ZOLL had already lost the liability trial. Philips sought $217 million on its claims against ZOLL, and ZOLL sought $3.3 million on its claims against Philips. The jury awarded $10.4 million to Philips and $3.3 million to ZOLL, resulting in a net verdict of $7.1 million to Philips. The jury also found that ZOLL did not wilfully infringe. Ariosa Diagnostics, Inc. v. Sequenom, Inc. Represented molecular diagnostics company Ariosa Diagnostics in patent litigation against Sequenom. Ariosa brought an early summary judgment motion, and on October 30, 2013, the court invalidated Sequenom’s patent because it attempted to cover a natural phenomenon, which is not patent-eligible. The decision gave Ariosa a complete victory, allowing the diagnostics company to continue selling its popular Harmony™ Prenatal Test—an affordable, highly accurate, non-invasive blood test to determine fetal chromosomal abnormalities. This decision was affirmed in a precedential opinion by the U.S. Court of Appeals for the Federal Circuit, which later rejected Sequenom's petition for rehearing en banc. On June 27, 2016, the U.S. Supreme Court denied Sequenom's petition for a writ of certiorari, handing Ariosa a complete and final victory. Intel Corp. v. Future Link Systems LLC. Secured a settlement for Future Link, resolving a patent dispute against Intel Corp. involving high-volume microprocessors. Intel sued Future Link seeking a declaratory judgment that neither Intel nor any of its customers infringed nine of Future Link's patents. Future Link counterclaimed for infringement of seven of the patents Intel put at issue. Additionally, Irell asserted infringement of eight other Future Link patents. Irell obtained favorable claim construction rulings, defeated two rounds of summary judgment motions and convinced the court to reject every one of Intel’s Daubert motions. After three years of litigation, Intel agreed to a confidential settlement. TiVo v. EchoStar, et al. Secured $1.7 billion in judgments and settlements including over $600 million paid by EchoStar after the jury verdict and post-trial proceedings; TiVo v. Motorola and TiVo v. Cisco: $490 million; TiVo v. AT&T: $215 million; TiVo v. Verizon: $250 million, plus future royalties. City of Hope National Medical Center v. Genentech, Inc. Represented City of Hope, a nonprofit biomedical research institute and hospital against Genentech, one of the largest biotechnology companies in the world. The suit alleged that, in an effort to deprive City of Hope of hundreds of millions of dollars in royalties, Genentech concealed numerous third-party licenses it had granted to patents that City of Hope had assigned to Genentech under a 1976 agreement. The patents at issue arose from early groundbreaking inventions discovered by City of Hope scientists in the field of recombinant DNA technology. After a six-week trial, the jury returned a verdict in favor of City of Hope. The compensatory damage judgment was the largest award ever affirmed in a published decision a by California appellate court in any area of law. More than $565 million was paid by the defendant to City of Hope. Stac Electronics v. Microsoft Corp. Represented a relatively small, independent computer software developer, Stac Electronics, in this bet-the-company lawsuit against software giant Microsoft. The suit asserted that Microsoft had infringed Stac’s patented data compression technology. After an intense year of pretrial conflict, in which Microsoft devoted enormous resources to the litigation, the case concluded in a month-long jury trial. The jury found that Microsoft infringed two Stac patents and awarded Stac $120 million. After the firm secured a sweeping post-verdict injunction requiring Microsoft to recall infringing products worldwide, the case settled. In the Matter of Certain Footwear Products. Represents Skechers USA in a U.S. International Trade Commission (ITC) case in defense of trademark infringement allegations brought by Converse (owned by Nike). Converse is alleging infringement of the Chuck Taylor "ALL STARS" trademark for athletic shoes with rubber toes and bumpers. The ITC trial took place in August 2015. In November 2015, the ITC ruled that Skechers' Twinkle Toes and BOBS product lines do not infringe Converse's registered trademark for the Chuck Taylor midsole. In re Certain Electronic Products, Including Semiconductor Products, Manufactured by Certain Processes. Irell co-represented complainant Texas Instruments (TI) before the ITC in a patent infringement action against Samsung which involved several TI patents. The action before the ITC was one of many patent infringement actions brought by TI against Samsung when Samsung refused to renew its patent licensing agreement with TI that expired at the end of 1995. Shortly before trial, Samsung settled with TI by entering into a new patent licensing agreement, whereby Samsung paid over $1 billion to TI over a 10-year period, with the bulk of the royalty payments occurring in the first several years. Santarus Inc. v. Par Pharmaceutical Inc. Represented Santarus Inc., a small, innovative pharmaceutical company based in San Diego, in this case involving Santarus' drug Zegerid, which is used to treat disorders related to excess stomach acid. The district court found all of the asserted claims in the patents covering Zegerid to be obvious over the prior art. On appeal, the U.S. Court of Appeals for the Federal Circuit held that 11 asserted claims in two patents were not obvious and reversed the district court on those claims. Because Par's generic was found to infringe the claims that were held to be valid, this decision cleared the way for a trial on damages. As a result of the victory, two days following the decision Par announced that it had voluntarily ceased further distribution of the infringing product. News of the victory caused Santarus' stock price to soar over 14 percent in one day. On September 22, 2014, Par Pharmaceuticals agreed to pay $100 million to Santarus to settle the dispute. MAG Aerospace Industries, Inc. v. B/E Aerospace, Inc. Represented B/E Aerospace in defense of a patent infringement suit brought by MAG Aerospace Industries alleging infringement of three patents related to vacuum toilets used on aircraft. After a successful claim construction ruling, three summary judgments of noninfringement were granted in favor of B/E Aerospace in January 2015. Based on the rulings, the entire case against B/E Aerospace was dismissed. In March 2016, the U.S. Court of Appeals for the Federal Circuit affirmed in a unanimous precedential decision. In a parallel IPR victory in March 2016, the PTAB invalidated the three patents that MAG asserted against B/E, concluding that they were obvious based on prior art. Immersion v. Sony. Represented Immersion in this patent infringement litigation regarding complex tactile sensation technologies used in the popular Playstation videogame system. After trial in August and September 2004, the jury awarded $82 million to Immersion, and the trial court subsequently entered a permanent injunction against Sony’s sale of the infringing product (which was stayed pending appeal, conditioned on Sony’s payment of a royalty for the duration of the appeal). Ultimately, Sony's appeal was dismissed and Immersion received more than $150 million. Immersion v. Microsoft et al. In an earlier action in which Immersion asserted the same patents against Microsoft with respect to the Xbox videogame system, Microsoft settled shortly after the claim construction hearing. Under the settlement, Microsoft agreed to pay Immersion $26 million for certain license rights to Immersion’s patent portfolio and an equity stake in the company. Microsoft also agreed to lend Immersion up to $9 million in convertible debt. Juniper Networks Inc. v. Palo Alto Networks Inc. Secured its latest victory for Juniper Networks in May 2014, when Palo Alto Networks Inc. agreed to pay $175 million to resolve the patent litigation between the two network security companies pending in California and Delaware. Juniper Networks sued Palo Alto Networks (PAN), a company founded by former Juniper employees, in Delaware federal court for allegedly infringing seven Juniper patents. The patents at issue were invented by the founders of PAN when they were employed by Juniper. Irell successfully moved the district court to strike PAN’s defense of invalidity by invoking the federal common law doctrine of assignor estoppel, which prevents an inventor who assigns a patent to a buyer from later challenging its validity. The trial in February 2014 ended in a mistrial, leading to the settlement. Tessera, Inc. v. Amkor Technology, Inc. Represented Tessera Inc. in a patent licensing dispute with Amkor Technology for almost a decade before resolving the litigation in January 2015 by securing a $155 million settlement. In 2014, Irell delivered Tessera an arbitration award of approximately $150 million following two trials before the International Court of Arbitration in the International Chamber of Commerce (ICC), and defeated multiple attempts by Amkor to overturn the ruling in both the ICC and San Francisco Superior Court. Irell also obtained a rare patent holder victory in an IPR proceeding before the PTO. St. Jude Medical Inc. v. Access Closure, Inc. Represented St. Jude Medical in a patent case alleging infringement by Access Closure of St. Jude's patents relating to vascular closure devices. The jury returned a verdict of willful patent infringement and awarded St. Jude $27.1 million in damages, reportedly the largest jury verdict in any area of law in the Western District of Arkansas. The court subsequently granted St. Jude's motion for a permanent injunction against the infringer. Candle Corporation v. Boole & Babbage, Inc. This was the first trial ever involving any patent on computer software. Irell represented Candle Corporation in attacking the validity of a patent issued on software performance monitors for large mainframe installations. Irell won the case, which was concluded after a two-month jury trial. Powertech Technology Inc. v. Tessera, Inc. Represented Tessera Inc. in this patent licensing dispute involving an agreement allowing Powertech to access Tessera semiconductor packaging patents for use in its integrated circuit assemblies. Powertech sued to terminate the license agreement and for breach of contract and fraud, claiming damages of more than $200 million and punitive damages. Tessera countersued for breach of contract and fraud. On January 15, 2014, the court granted summary judgment in favor of Tessera on almost Powertech's entire case and on all of Powertech's damages claims, denied Powertech's request to terminate the license and ruled that Powertech had breached the parties' license agreement. The court also denied Powertech's summary judgment motion on all but one of Tessera's counterclaims. With Tessera's affirmative case left alive and trial scheduled for April 2014, Powertech agreed to a cash settlement that, following post-settlement proceedings, was set at $202 million. Ultratech Stepper, Inc. v. Canon, Inc. and ASM Lithography, Inc. Represented ASM Lithography, a leading manufacturer of photolithographic equipment, which is used to make semiconductor chips. Ultratech sued ASML as well as Nikon and Canon, the other two top photolithographic equipment manufacturers, for patent infringement of “step-and-scan” machines. Nikon and Canon settled with Ultratech early on in the case. ASML went to trial, arguing that its own “step-and-scan” machine constituted prior art. After a four-week jury trial, the jury returned a verdict for ASML, finding all asserted claims of the patent at issue invalid. The Daily Journal recognized this victory as one of the “Top Ten Defense Verdicts of 2005.” The U.S. Court of Appeals for the Federal Circuit affirmed the jury’s verdict in its entirety. Linear Technology Corp. v. Novellus Systems, Inc. et al. Represented Novellus Systems Inc., a semiconductor manufacturer. Linear sued Novellus in 2002 alleging Novellus had breached its contractual obligations and statutory warranties to Linear and seeking $200 million in damages, as well as declaratory relief and injunctions. In February 2010, Irell prevailed before a jury, which took only seven hours of deliberation to absolve Novellus entirely, a result recognized by the Daily Journal as a “Top Defense Verdict of 2010.” The team also convinced the court to award Novellus more than $5 million in attorneys' fees. The verdict and fees were affirmed by the California Court of Appeal. Peer Communications v. eBay and Skype. Represented defendants eBay and Skype in a patent infringement suit related to internet communications, including what is known as VoIP (voice over internet protocol). After claim construction, the district court entered judgment for eBay and Skype based on patent invalidity and dismissed the case with prejudice. The U.S. Court of Appeals for the Federal Circuit affirmed. Netcraft Corp. v. eBay. and PayPal. Represented eBay and PayPal in a patent infringement action regarding online payment technology. After claim construction, the district court entered judgment for eBay and PayPal based on noninfringement and dismissed the case with prejudice. The U.S. Court of Appeals for the Federal Circuit affirmed. Microprocessor Enhancement Corp. v. Texas Instruments, Inc. Represented Texas Instruments in this case in the Central District of California. Irell obtained a complete victory for TI on summary judgment, finding that TI did not infringe the patent, that all claims of the patent are invalid and that TI should recover its litigation costs. The U.S. Court of Appeals for the Federal Circuit affirmed. Tessera v. Micron and Infineon. Successfully represented Tessera Inc., a global leader in the development and licensing of semiconductor packaging technology. Tessera alleged patent infringement by Micron and Infineon, two of the world's largest manufacturers of DRAM, which is used as main memory in computer systems. Tessera further alleged that the defendants anticompetitively colluded to forestall widespread adoption of Tessera's patented technology, as part of their efforts to monopolize and then fix prices in the DRAM market. Shortly before jury selection, both Micron and Infineon agreed to resolve the case for $30 million and $50 million, respectively, in up-front payments, and royalty bearing licenses to Tessera's patents on confidential terms. Grayzel v. St. Jude Medical, Inc. Successfully defended St. Jude Medical Inc. in a patent case relating to vascular closure devices. These devices are used at the end of angioplasty and other cardiac catheterization procedures. The number of cardiac catheterization procedures increased by 400 percent from 1979 to 2002; there are now over 1.5 million such procedures each year in the United States alone. Dr. Joseph Grayzel, a director of one of St. Jude’s vascular closure device competitors, sued St. Jude for patent infringement, seeking to enjoin St. Jude’s AngioSeal vascular closure device and recover a portion of the more than $1 billion in AngioSeal revenue. After discovery closed, St. Jude moved for and was granted a summary judgment of patent invalidity, and the lawsuit was dismissed. Novellus Systems v. Applied Materials. Represented patent owner Novellus in this lawsuit concerning physical vapor deposition tools and methods for depositing metal onto semiconductor wafers. In 1999, as Novellus was in the process of acquiring the PVD assets of Varian, Applied Materials sued Novellus on four patents related to semiconductor manufacturing equipment and methods. Novellus brought a counter-suit against Applied Materials. Over the seven-year period before negotiating a favorable global settlement between the parties, Irell, on behalf of Novellus, precluded Applied Materials from relying upon various invalidity contentions, defeated in whole or in part three summary judgment motions brought by Applied Materials and succeeded in having all four of the patents asserted against Novellus dismissed entirely. Affymetrix v. Incyte Genomics; Hyseq v. Affymetrix. Represented DNA microarray manufacturer Affymetrix in a series of patent litigations in the U.S. District Court for the Northern District of California. First, the firm asserted Affymetrix’s microarray patents against Incyte Genomics, Synteni and Hyseq. Irell also defended Affymetrix against Hyseq’s claims that Affymetrix’s DNA microarrays infringe Hyseq’s “sequencing by hybridization” patents. The Hollywood Reporter Names Steve Marenberg a 2012 "Power Lawyer"
Law360 Names Ellisen Turner a "Rising Star"
Ellisen Turner named to Daily Journal's "Top 20 Under 40"
Morgan Chu named one of "The Decade's Most Influential Lawyers"
Andrei Iancu Selected by Daily Journal's "Top 20 Under 40"
2015 Patent Reform: Is It Happening? Challenging Validity of Issued Patents Before the PTO: Inter Partes Reexam Now or Inter Partes Review Later? Toward Streamlined Patent Litigation: Will Early Disclosure of Damages Improve the System? After Teva: How Will Patent Litigation Change?